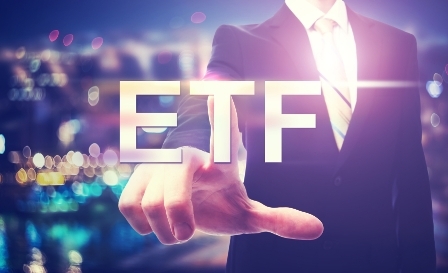 According to preliminary data from ETFGI, the leading authority on global ETF trends, assets invested in ETFs listed in Canada were at $US81.76 billion at the end of Q3 2016, virtually unchanged from the observed August level of US$82.14 billion. September net flows were US$491 million of net new assets gathered during the month, which marked the 23rd consecutive month of net inflows. Globally listed ETFs fared better, hitting a record level of US$3.408 trillion at the end of Q3. By that point, Canada’s ETF industry had 442 ETFs recorded, with 598 listings from 17 providers split between two exchanges. Breaking down net ETF flows by category, preliminary statistics show net inflows of $US 547 million into fixed-income ETFs. Equity ETFs and commodity ETFs, on the other hand, experienced net outflows of $US273 million and $US19 million, respectively. Year-to-date up to the end of Q3, ETF inflows reached $US10.49 billion, which breaks down into US$4.63 billion for fixed-income ETFs, followed by equity ETFs with US$4.62 billion, and commodity ETFs with US$219 million. iShares led as the largest ETF provider in the Canadian market, owning 47.9% market share with US$39.13 billion in assets. Second was BMO AM with US$24.33 billion and 29.8% market share, followed by Vanguard with US$7.07 billion and 8.6% market share. Combined, the top three ETF providers accounted for 86.3% of Canadian ETF assets. In terms of net inflows for September, Mirae Horizons clinched the top spot with US$637 million, trailed by First Asset with US$419 million and BMO AM with $US320 million. Statistics on YTD net inflows yielded a different picture, with first-placer BMO AM getting US$4.85 billion, followed by Vanguard with US$1.85 billion and Mirae Horizons with US$320 million.